This room has two single beds, private bathroom with shower , balcony and all standard hotel amenities. Please note that iron and coffee/tea maker are available on request. This room has one double bed, private bathroom with shower , balcony and all standard hotel amenities. Please note that iron and coffee/tea maker are available on request. 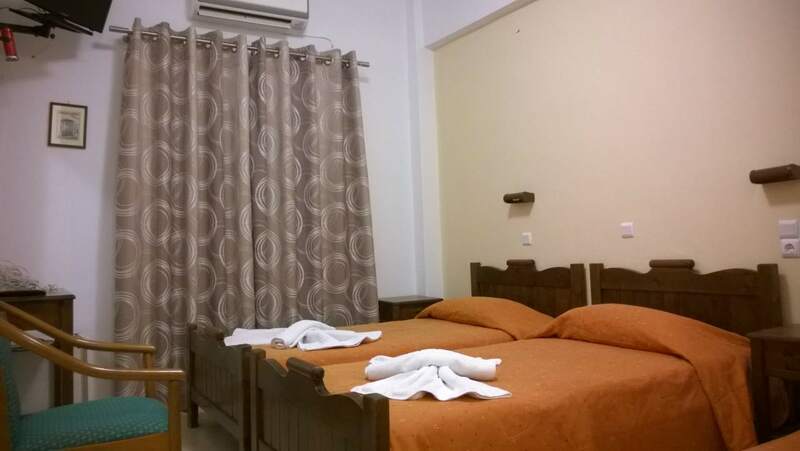 This room has a double bed and a couch with can make a comfortable extra bed, private bathroom with shower , balcony and all standard hotel amenities. Please note that iron and coffee/tea maker are available on request. This room has three single beds, private bathroom with shower and all standard hotel amenities. The room is facing at a yard in front of the hotel. Please note that iron and coffee/tea maker are available on request. 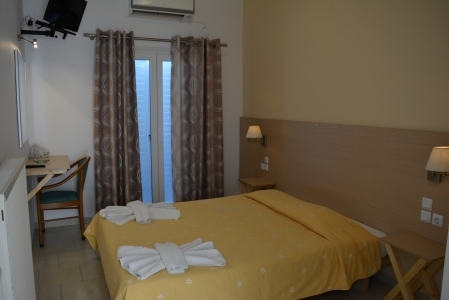 This room has one double bed, private bathroom with shower and all standard hotel amenities. The room is facing at a yard in front of the hotel. Please note that iron and coffee/tea maker are available on request. 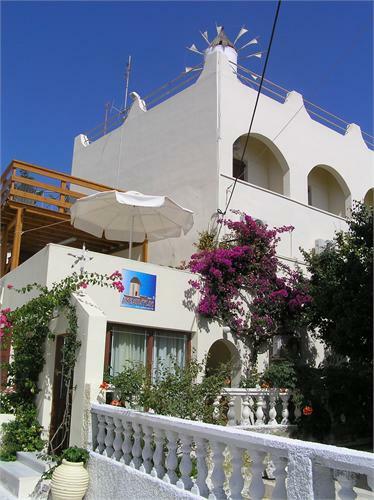 Anemomilos Villa is a traditional building situated in a quiet area, and can be found near the Nomikos Conference Centre and close to the central square of Fira. 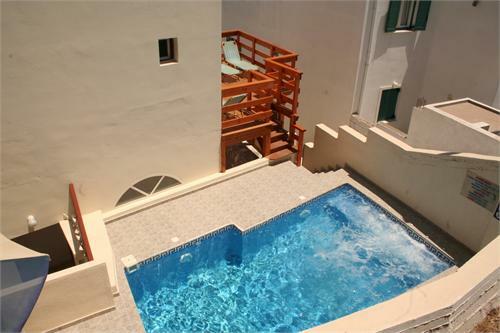 Anemomilos Villa is within walking distance of the restaurants, taverns shops, boutiques, galleries and nightlife that Santorini is famous for. In a friendly atmosphere with the best service and reasonable prices we promise to make your holidays in Santorini an unforgettable experience. No fee charged if cancelled 14 days before arrival date. Cancelled within 14 days before arrival or non-show will result cancellation fees 50% of the total price. Very kind receptionist and driver. I had a great stay at this hotel. It is rather simple and off the caldera, but it has everything you need for a good night's sleep. A spacious room, a big bed and a good bathroom. Everything was tidy, and the staff was super friendly. They lend me a bag because I forgot mine for two days, and arranged a complimentary shuttle back to the airport. Highly recommended place if you're on a budget, and only need a comfy place to sleep. 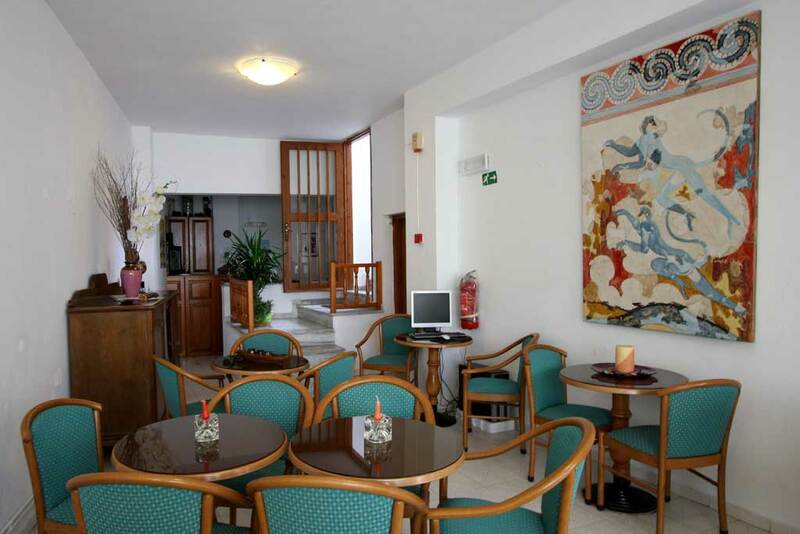 Nice hotel in Good locati on with good value for money. Nice staff pleasant and helfull. 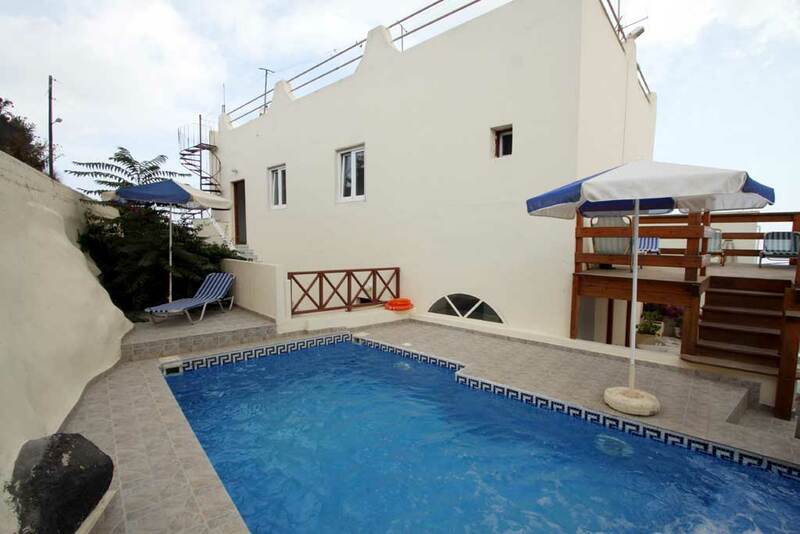 It provides a good relationship between price and access to all what the island may offer. Nevertheless is not a hotel to stay during the day because there is no view to the caldera (as much of the other hotels in the city), is a good option if your plan is to go around the island and know different places. It was very good! 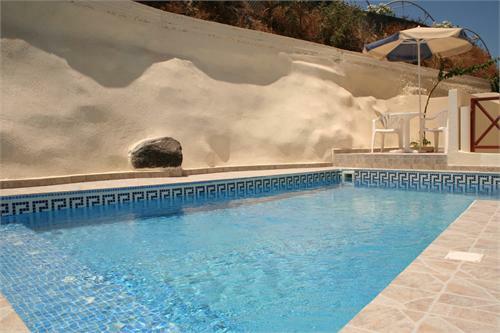 Low costs, nice pool, you are able to come back at every time of the night. i love this place. the staffs were very kind and warm. i got the whole apartment for me and it was very comfortable and clean. the free pickup was also very helpful. will definitely go back if i have another chance to visit santorini! Everyone will fall in love with this hotel! The best hotel in my life! Good staff Good atmosphere Everything is perfect! A very good hotel with a very good staff. Very friendly people! Thank you for this anasing holiday! The hotel is very good and extremely cheap. We enjoed you very unusual 2floor room an we appreciate free meeting at the port. 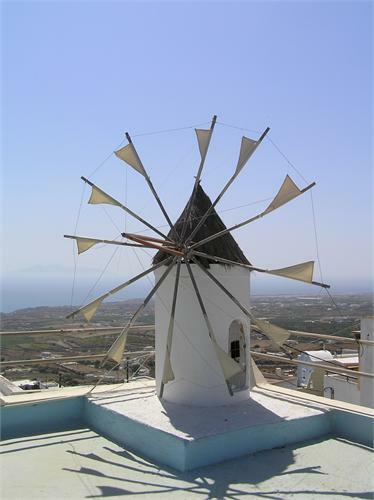 But the thing is that Thira town is not the most interesting place in Santorini. 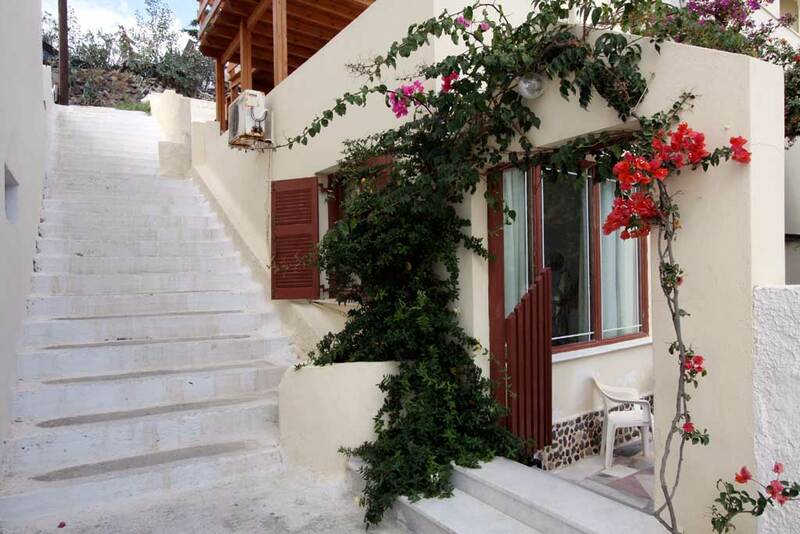 I will recommend my friends to better stay in Oia if they can afford it. At least one night. This town is really beautiful.